Should You Part Exchange or Sell Your Car Privately? Part exchanging can make upgrading to a new car much more affordable. After thousands of miles and lots of great memories, it’s time to replace your old car with something newer. Whether you’re upgrading or simply replacing, knowing the best way to sell or exchange your old car can make replacing it far more affordable. One of the biggest choices you face when buying a new car is working out whether to sell your old car privately or part exchange it with the dealer to get a discount on a newer model. In this guide, we’ll look at the advantages and disadvantages of both methods and help you work out the best way to sell or trade your car when the time comes to upgrade to something newer. Part exchanging your car has a range of benefits. The biggest, for most car buyers, is its convenience. While selling your car can take weeks, or even months, doing a part exchange lets you immediately exchange your old car towards a new one. Instead of having to list your car for sale and wait for a buyer, you’ll be able to trade in your old car right there at the dealership. This makes part exchanging a great idea if you’re pressed for time and don’t want to wait for your old vehicle to sell. Part exchanging also lets you bypass the inevitable time-wasters that can come with listing your car for sale online or in the newspaper. The entire process is quick, easy and instant, letting you avoid what could have been a slow sales process. When you part exchange your car, you’re essentially trading some of the money that you could have earned by selling it privately for the convenience of handing it off to a dealership right away. 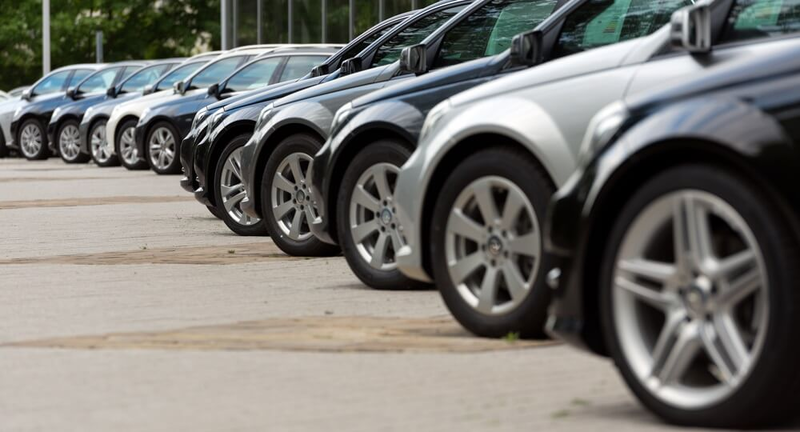 Most car dealers sell used vehicles for relatively slim margins, and the price you’ll be offered for your car reflects their need to make a profit. In almost all cases, you’ll get a better price for your car through a private sale than through a part exchange. Part exchanging your car can also mean lots more negotiation with the dealership – something many people dislike. Not only will you need to negotiate a price for your new car; you’ll also need to negotiate a fair trade-in valuation for your old car. If you’re short on time and don’t want to deal with the private sale process, trading in your car for a discount on a newer model is a great idea. However, to get the best price for your old car (and the biggest discount) it helps to know a few things. First, make sure you’re aware of your car’s value. Check private listings and auction websites like eBay to see how much similar models of your car sell for. If you want to have some more negotiating power, print the listings to bring to the dealership. Make sure you pay attention to factors like your car’s condition and mileage. If you see the same type of vehicle online with a similar mileage and service history, use it as a rough guide to your car’s sales value. Note that your car’s sales value will always be slightly higher than the dealership’s offer – they need to make a profit on the sale, after all. Think of it as a guide to your car’s best price, not as a realistic target for your part exchange. Second, don’t accept the dealership’s first offer straight away. Most dealerships will offer a lowball offer hoping you’ll accept to save time. If your car is worth a lot more than what you’re offered, don’t be afraid to negotiate a better price. If you’ve got plenty of time to find the right buyer, selling your car privately is often a better choice than part exchanging it. Most of the time, you’ll be able to get a much higher price for your old car through a private sale than via the dealership. The biggest advantage of selling your car privately is that you’ll be able to maximise its sales price. Since there’s no profit margin for the dealership – which drives down part exchange values – you’ll get all of the money from the sale of your car. A second advantage of selling your car privately is that it lets you take advantage of factors that a dealership may not care about. If your car has modifications or special features, these could be more appealing to a private buyer than to a car dealership. Finally, if you’re selling a rare or classic car, a private sale is almost always the way to go. Valuable cars – vintage sports cars, for instance – rarely fetch good prices in a part exchange, unless they’re sold to a specialist dealer for that type of vehicle. While selling your car privately usually lets you earn more money, it also has some disadvantages. One of the biggest disadvantages of a private vehicle sale is the time involved; unless you auction your car, a private sale could take weeks or months. If you’re selling a rare car that only appeals to a niche market, it could take almost a year – sometimes even longer – for you to find a buyer willing to offer the right price for your vehicle. If your car is only a year or two old, the time required to sell it could result in a drop in its value. This is particularly true for luxury cars, which drop significantly in sales price in the 2-3 years after they’ve been first sold. Finally, there’s also the possibility of running into time-wasters – people who’ll look at your car only to lowball you on the price or simply not respond. Selling a car takes time – if you don’t have time to spare, a part exchange could be a smarter idea. Just like you can your discount from a part exchange by knowing how much your car is worth, you can get the most from your private car sale by understanding the value of your car and pricing it accordingly. Before you list your car for sale, search for similar models on eBay and other private listing websites. List your car at a price that’s similar to other models to make sure you’re not selling it for less than it’s worth. For a quick sale, you might want to price your car slightly below similar models. Just make sure you aren’t too generous with pricing, as you could end up selling your car for almost the same amount as you would earn by part exchanging it. Which option is best for your old car? Both selling your car privately and part exchanging it to a dealership have upsides and downsides. Which option will you use when it’s time to upgrade your car to a newer model?